I have been dreaming of this sweater since I used it in this editorial, so when I saw it in New York I did not think twice. The super soft cashmere and silk knit sweater from Dries Van Noten is adorned with an oversized ruffle that gives it a feminine touch. Best thing? It was on sale at Barneys – wuhu. I wear it with skinny black jeans and worn Vans so it doesn’t get too girly. You can shop the Dries Van Noten sweater right here – not on sale unfortunately. 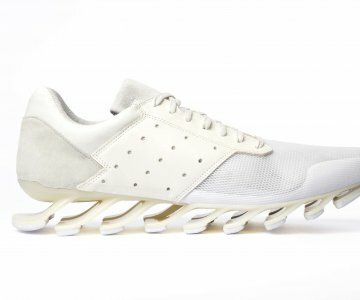 For spring summer 2015 Rick Owens and Adidas expand their collaboration with three new models. Are you getting a pair?